$40 or =N=6,600 (No Hidden charges) Nigerian rate is fixed at 165naira-1dollar. Before you say it is a company about MLM and that you're not interested, let me tell you why joining HelpingHands (H21) this time is the best thing you would ever do. I "Princesage" will teach you how to sell online and reach a large number of people online FREE OF CHARGE! ASSOCIATE is a 2 x 2 matrix which serves as a feeder matrix, feeding stage 2 to stage 5 of this compensation plan. when the 2 x 2 get filled, You automatically promoted to stage 2 likewise everybody on the board, once their matrix is filled they get promoted to stage 2 which is a 2 x 5 matrix and they are paid as they progress. A referral bonus of $16 is paid for introducing 2 or $48 for introducing 6 new members, Plus matrix bonus of $10 paid when the 2 x 2 matrix get filled. So you earn either $26 or $58 as the case nay be. Every member start their own matrix occupying the top position, even if they are part of their up line's matrix. Stage 2 - Masters Matrix. NOTE;Matching Bonus start from stage 2 with 10% paid to upline when direct referrals completes stage 2. And 5% from stage 3-5. $150 to upline in stage3, $300 to upline in stage 4 and $600 in stage 5. As you get promoted to stage3. Since matrix bonus paid out when stage2 filled up is $1000, Your uplink gets 10% ($100) simultamously. Once you complete Stage2,you are qualified to "OWN A LANDED PROPERTY",and little money will gradually be withdrawn from your matrix to pay for your landed property__ if you apply. Helpinghands(H2i) has acquired 10 hectares of land in Port-Harcourt,Rivers State. country and countries where they operate. This is the second 2 x 5 matrix, as you complete stage 2, stage 3 is formed with you on top starting the 2 x 5 matrix. · Empowerment for 2 people on recommendation ($1000 each) ---- $2,000. Reaching Stage3 level 3 now qualifies you to "Dubai Trip"; this is now constant__no longer a PROMO matter. What is this H21 about and How can I start? You're Busy now and you want me to tell you later? or you need better clarification? It's not enough to have lived. We are determined to live for something, it could be creating joy for others, sharing what we have for the betterment of mankind, bringing hope to the hopeless and love to the orphans and that is what gives us more joy and happiness, for we believe that “Life is a gift, and it offers us the privilege, opportunity, and responsibility to give something back by becoming more”. Helping HANDS International Helping HANDS International renders help and amazing services that touches and empowers lives of members and non-members (less privilege, widow, motherless homes and the needy). We believe in helping people to live a better lifestyle, get out of poverty, lack and want. As an organization (NGO), we believe in our members and we like to affect lives of others through them, since they are closer to the people around them. It is required of our members to recommend people (the needy, widows, Helpless) for empowerment. By so doing, they become our help partner. · At stage 3- Super Master, every member is required to look into their community and neighborhood and recommend two persons to the organization for life time empowerment. 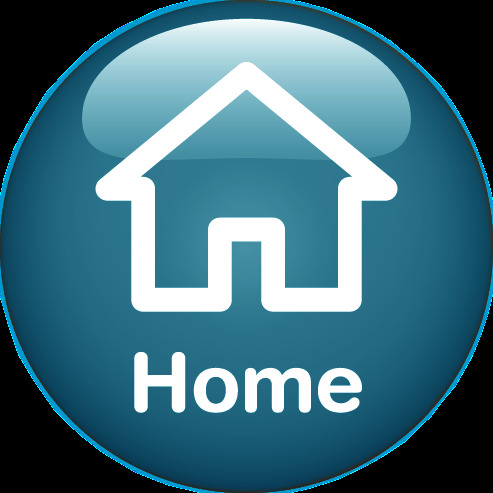 ·Also at Minister’s stage (Stage 4) every stage 4 member is required to look around them for any motherless home or disabled home, and communicate their contact address and contact numbers to the organization, after which Helping HANDS International will visit these homes for definite touch and empower them. At Helping Hands International, we believe in human capital development and that is why this service attends to skills and trade. As a member, should you desire to acquire additional skills or learn a trade, we would make sure that you have all the resources required for the acquisition. This is our way of helping members to get the right footing in their career, At SUPER MASTER’S stage, members who intend to acquire skill or learn a trade can communicate their intention to the organization, where to learn and which trade or skill to acquire shall be discussed and all necessary arrangement as to the successful completion of such shall be made available by Helping Hands Int’l. It is our ways of empowering people and touching lives. NOTE; Your stage 3 (super master’s) position is all you need to enjoy this service, it is your privilege as a member, it all done for you FREE of charge. Enjoy it. With this service, members can now enjoy the opportunity of owning a brand new car, or acquire properties of their choice. Whatever be your dream assets, H2i will help you to own them in an easy way. 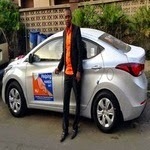 Are you finding it difficult to buy a brand new car? Or machineries, even electronics or furniture? We help you the easy way; you contribute 30% of the total cost and H2i will help you with the balance of 70% which must be paid up within 12months. An MOU of repayment plan must be signed and agreement strictly adhere to. Weekly, monthly or quarterly repayment plan is allowed, but the amount given must be fully paid up within one year. We believe in touching the lives of our members and as they say, the idle mind is workshop for the devil, We want our members to be actively engaged for an economic gain and flourishing in what they do; do you have any financial challenge? or your business has been suffering because of lack of money, maybe your dream is to set up a new business or you simply wants to expand your existing one, we are here for you, we empower your business, we give helping hands to your business and help you to achieve your dream. - Elite club member’s loan - The Elite club is design for members to boost their loan power and worthiness. With Elite loan, you can now enjoy good luxuries of life, enjoy better life style and execute that project in grand style. Over $40,000 Loan for grab. No interest, no collateral, no hassle, no gimmick, this is given at the end of the year or at the completion of the entire 5 stages – ASSOCIATE – PRIME MINISTER depending on which one comes first. Check our FAQ for detail explanation on elite club member’s loan. 5. SCHOLARSHIP AWARD SERVICES; This award aims to promote academic excellence and improve skills-base among orphans and the less privileged in our society. The possibility were endless when you were growing up, one day you wanted to study abroad, the next you wanted to study in the best university in the world. Your dreams were superb, your future through the eyes of a junior scholar, that is Somewhere along the line fate stroked and you lost your sponsor or financier or maybe the reality of life kicked in as a result of your poor background and the feeling that anything was possible started to fade and your dream of a better future may seemingly be gone. That is where helping hands international steps in to help keep your dream alive, we help you give you these scholarship from your 1st year to when you graduate, we stand by you and see you through school. Ø Educational Fund For Members children- Unlike number two and three below, this is a fund made available for members children(two), each time a member complete the Prime Ministers stage, $2,000 is automatically paid to the member as educational fund. See details on our compensation plan. Ø Scholarship for Orphans – To help support the orphanage home and the orphans therein, Helping Hands international designed this to reach out to orphans in our society. Board of Trustee members are required to visit any orphanage in their neighborhood and recommend 2 orphans yearly from different homes, this two shall be given scholarship award, It is part of our humanitarian services to the society where our members lives. In order for us to affect and touch more lives, we have decided to look into religious bodies and organizations, most especially the churches and mosques. This type of empowerment is also by recommendation from our Trustee, Trustee members are to recommend 2 less privileged yearly from any religious gathering, such people must be in need and handicapped in paying their education fees/tuition. On approval, our regional reps shall visit such church to empower their people. Must have gained admission during the running academic session. This is the last stage of 2 x 5 matrix, you are positioned here, starting from the top of the matrix, the matrix get filled downward from level1to level 5 and as each level gets filled you are paid from level to level causing cash flow for you and others. The matrix bonus here is $6000, $3000 paid from level 1-4 and the balance of $4000 is paid when the matrix is completed. What a cash generating system! Matching bonus of 5% =$300 is paid to uplink automatically. · 5% Matching Bonus to uplink --- $ 300. Upon completing Stage4,you get a Standard 3-Bedroom flat built in any place of your Choice. However, if you don't want the property, you have the option of collecting N10,000,000(Ten million Naira) instead of a 3-bedroom apartment. This is the last stage of our compensation plan and it's a 2 x 2 forced matrix with a spill over and spill under, when you completes stage4, you are promoted to start this 2 x 2 matrix with you on top. 5% matching bonus of $600 is paid to up link. · Yearly Infinity Bonus ($5,000). · 5% Matching Bonus to uplink ($600). Here, immediately the Prime Minister's matrix is completed, YOU are re-entered again into stage 5 Matrix, a re-entry fee of $500 is automatically deducted from your earnings to position you for another round of payment, incentives, plus qualify for more benefits. You will need another 6 followers to collect another round of entitlement. How genuine is the FREE iPad and LAPTOP? Every incentives in our compensation plan is authentic, we are not here for ourselves but for you, to empower you, to change your life and affect you positively. At stage 2 (Master's) we empower you with Brand new LAPTOP or iPad. You will have to choose either iPad or laptop and it will be delivered to you 3 weeks after your qualification (You can choose to pick it up in our regional office). Stage2 Matrix bonus now= $1,200. Will you really give me loan? At Helping Hands International we empower our members with business Loan, Assets and property loan, it is an Interest free loan with no collateral, it's part of your entitlement when you get to stage 4 and 5 – no gimmick, the loan is yours when you get there. What is the maximum loan I can get? As a Minister in stage 4 the loan due to you is up to $12,000 And at stage 5 after your 5th matrix is completely filled as a Prime Minister or at the end of the year(if you are yet to complete the stages) you get Elite club members loan up to $44,000. Your membership position as "Minister" or "Prime Minister" is your collateral which guarantee your access to these loan. What is this Elite club about? A. GOLD MEMBERS; Members in this category contributes 10% of their earnings at every stages as they progress from stage to stage. As a Gold members you are eligible for extra loan of up to $22,000. You get 3 times the amount contributed. For example; your total cash earning on matrix from stage 2 – stage 5 is $69,000 while your matching bonus for referring 2 is $5,200, this will give you a total cash earnings of $74,200. So your 10% contribution is $7420 which translate to loan of $22,260 that is the least you get when you refer only two. B. DIAMOND MEMBERS; Diamond members contributes 20% of their cash earnings at every stage they attain. This category of members are eligible for bigger loan and are given swiftly without much ado, remember you get 3 times the amount contributed. NOTE: Elite club members' loan is granted yearly (at the end of the year) or after completing "Prime Minister's" stage, depending on which one comes first. From your stage 1 earning you will be prompted to register for Elite Club, there and then you will be asked to choose which category you will like to belong (gold-10% or Diamond – 20%) and that will always be your contribution per earnings. Stage3 Matrix bonus now= $5,500. Stage4 Matrix bonus now= $9,700. Building residual income, also known as passive income, is one way to accelerate how quickly you reach that level of wealth. With Helping Hands International you are given that opportunity to build a substantial residual income with the aid of our 2 x Sweet 2 matrix and another 2 x sweet 5 matrix. Commissions are paid instantly to your Bank Account or E-Wallet. recognition;this is different from your matrix bonus/money. Upon completing Stage4,you get a Standard 3-Bedroom flat built in any place of your Choice. However, if youdon't want the property, you have the option of collecting N10,000,000(ten million Naira) instead of a 3-bedroom apartment. 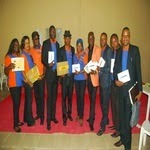 The recent earners of the second stage taking a photoshot with their Ipads, laptops in one of their branches.